BANNED CHEMICALS ARE tainting tiny crustaceans that inhabit the deepest ocean, a study said today, in the first evidence that humans are polluting even the farthest reaches of our planet. Even at depths of nearly 11 kilometres these scavengers could not escape “extraordinary” levels of contamination with chemicals used in coolants and insulating fluids, researchers said. 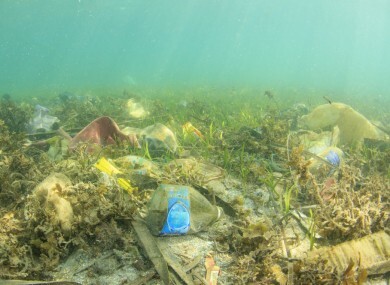 The pollutants likely came from plastic waste and dead animals sinking to the ocean floor, they wrote in the journal Nature Ecology & Evolution. “We still think of the deep ocean as being this remote and pristine realm, safe from human impact, but our research shows that, sadly, this could not be further from the truth,” said study co-author Alan Jamieson of Newcastle University. Jamieson and a team used specially-built underwater craft to collect bottom-dwellers called amphipods from the Pacific Ocean’s Mariana and Kermadec trenches. These are some of the deepest, darkest places on Earth, less well-known to mankind than the surface of the Moon. Amphipods are among the few creatures that can survive in this inhospitable zone of extreme pressure. The researchers used mackerel-baited traps to catch the shrimp-like carrion-feeders, then analysed them for traces of chemicals. The tests revealed high levels of pollutants, including polychlorinated biphenyls (PCBs) which were banned almost 40 years ago for causing cancer and wreaking havoc with hormones. The research was carried out in the ocean’s hadal zone, between six and 11 km deep, and comprised of deep trenches in the sea floor caused by tectonic plate activity. It is the least-explored ecosystem on Earth, “and the last major marine ecological frontier,” the team wrote. The Mariana trench is deeper than Mount Everest is high. It is believed that some 1.3 million tonnes of PCBs – which can persist in the environment for decades – were produced from the 1930s to 1970s. About 65% of the total is thought to be in landfills or still in electrical equipment today, and the other 35% in coastal sediment and the open ocean. The scientists also found traces in the amphipods of another long-lived pollutant – polybrominated diphenyl ethers (PBDEs) used in flame retardants. “PCBs and PBDEs were present in all samples across all species at all depths in both trenches,” the researchers wrote. In the Mariana trench, the world’s deepest, the highest PCB levels in samples were 50 times higher than in crabs from paddy fields fed by the Liaohe River, one of China’s most polluted. The team inferred that pollutants must be pervasive “across the world’s oceans and to full ocean depth”. “What we don’t yet know is what this means for the wider ecosystem”, the animals that feed on amphipods and the food chain higher up, Jamieson said in a statement. Email “Not even the deepest, darkest parts of the planet have escaped human pollution”. Feedback on “Not even the deepest, darkest parts of the planet have escaped human pollution”.